Have you ever stamped on fabric / felt ? There is a new challenge up at Lily Pad Cards! It is so much fun and amazing what you can create with some basic supplies. The linen I used on this card is a recycled liner for a basket which was broken - but I saved the linen to be used for sachets or .... a card!! Frog's Whisker's Ink generously provided the team with some stamps - I chose the Post card & Honey Comb stamp & chose to use both of them on this card. Stamps: Frog's Whisker's Ink J575 - Post Card & F176 - Honeycomb, Hero Arts Antique Engravings. 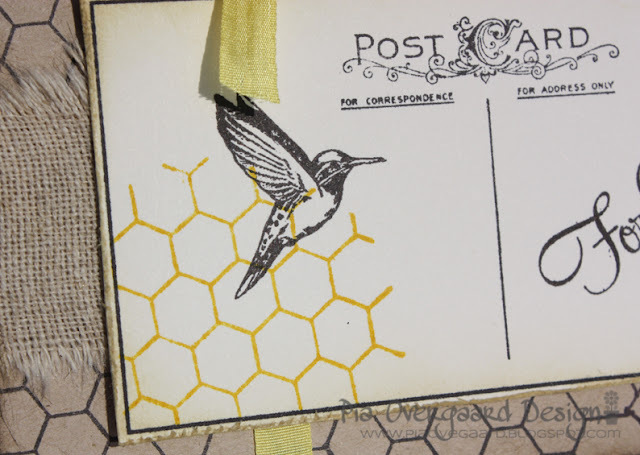 Inks: Ranger distress inks mustard seed, memories dye ink black. Other: Recycled linen, May Arts silk ribbon. 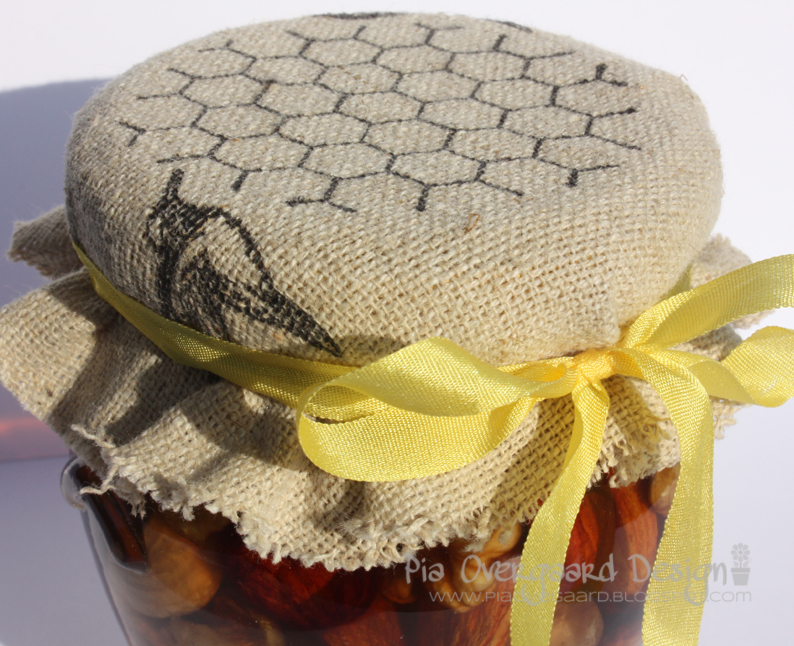 The cute honey comb stamp was ideal for a honey jar cover - so easy - but it makes a great handstamped gift. Thanks for stopping by today! Please don't forget to check out the challenge at the Pond! 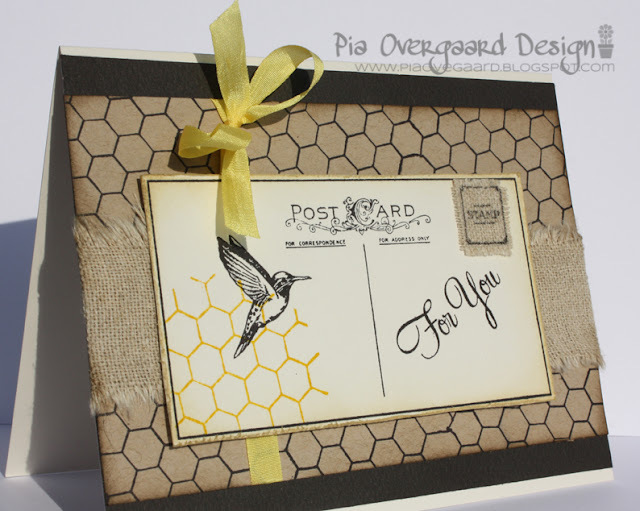 Pia, this is just lovely....so simple and rustic but so elegant also! Hvor er det smukt... du er bare super god til det med stempler. WOW, Pia. det kort er lige mig - flot og enkelt. Hvor er det en god måde du har brugt stoffet på. Lækkert stempel med "honey comb". What a cute project, just love it! !